Being away from Newcastle over the festive period I really missed my friends so was eager to organise lots of dinner dates on my return starting with an evening at Marco Pierre White Steakhouse in Newcastle with my friend Sarah. I may be a self confessed foodie and spend quite a lot of time eating my way round the Toon but I have to confess that I sometimes forget about Marco Pierre White Steakhouse, probably because it's hidden away in Hotel Indigo on Fenkle Street. Walking through the doors and into the beautiful plush restaurant I was immediately kicking myself for having not returned sooner. It is the perfect spot for a dinner date. 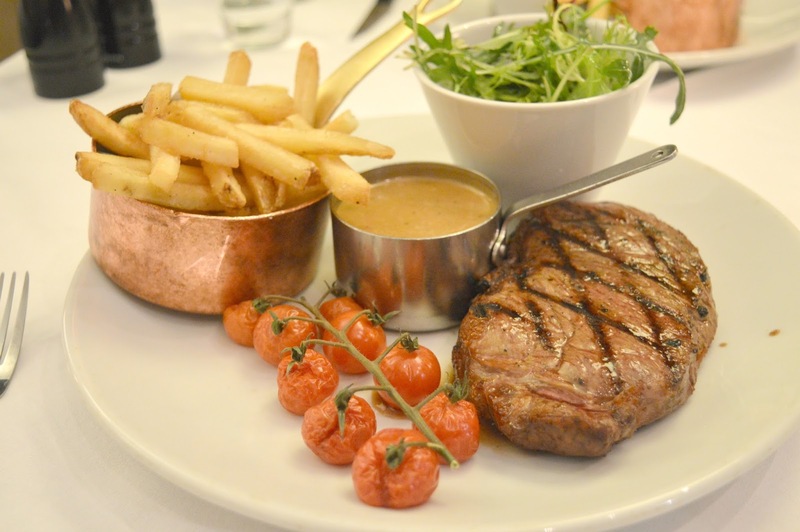 The menu at Marco Pierre White Steakhouse is a full on foodie affair with pages crammed full of dishes to share, tempting starters, fine quality steaks, belly warming mains and indulgent desserts. Forget the January diet, things were about to get serious! I'm not usually too fussed with starters (I prefer to save myself for dessert), but the starters at Marco Pierre White had my attention immediately. With delicious treats like Welsh Rarebit with Poached Egg (one of my absolute favourites), Marco's Lobster Maccaroni (oh wow!) 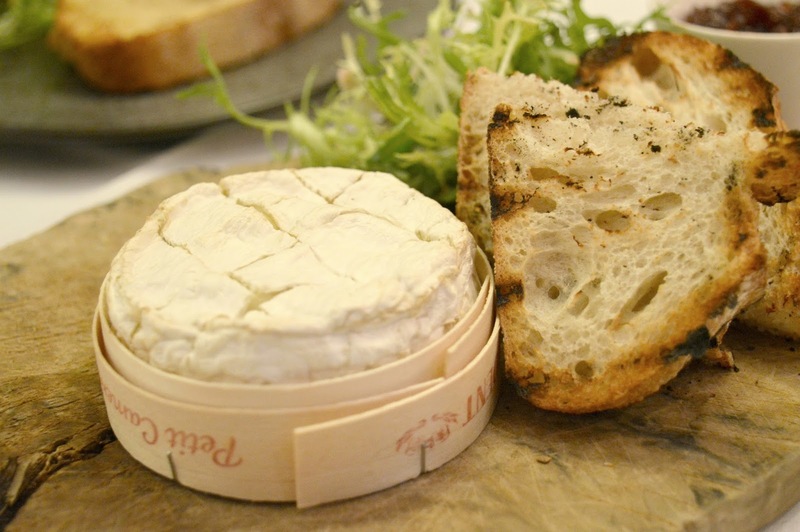 and Warm Baked Camembert all appearing on the menu, my biggest problem became what to order. Luckily as soon as I mentioned my dilemma to Sarah she came up with the idea of ordering two different starters and sharing them - what a great friend! 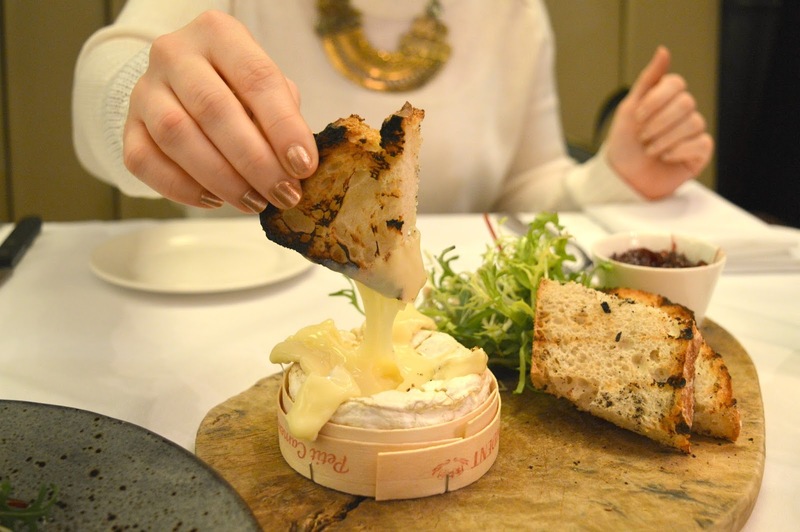 Sarah and I are both obsessed with cheese so decided to go for two cheesy dishes, starting with the Warm Baked Camembert (£8.95) - served with toasted sourdough, roasted vine tomatoes and vintage balsamico. We knew it'd be a pretty hefty way to start our meal but how on earth could we resist. We eagerly dipped our bread into the molten cheese and it was heaven! Our only criticism was a problem that happens too often in restaurants, there just wasn't enough bread for dipping. We resisted spooning the rest of the cheese out to eat on its own until our brilliant waiter gave us the go ahead. He didn't need to tell us twice. 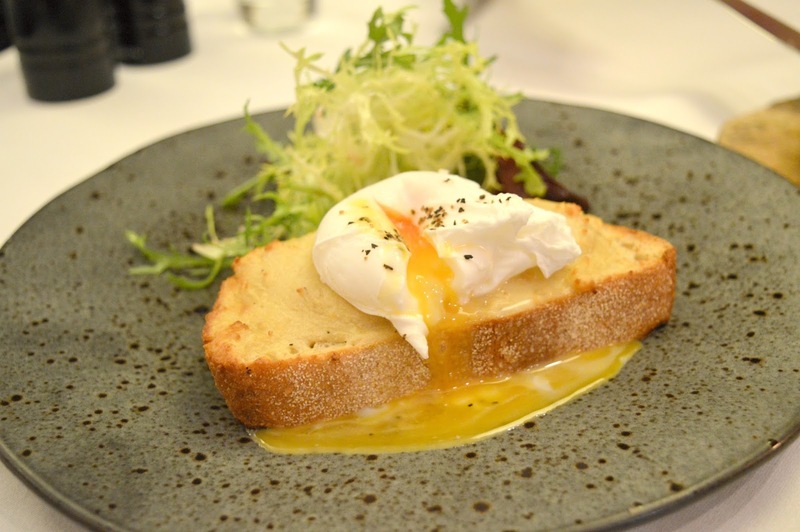 To accompany our Camembert we chose the Welsh Rarebit with Poached Egg (£7.95). This was my kind of dish. We popped the egg, the yolk mixed with the stringy cheese and suddenly all guilt over breaking New Year's diets were forgotten. The naughty things always taste the best! Healthy eating for January forgotten and salad left, our night was off to a great start. As Sarah had her car with her we had an alcohol free evening so our waiter helpfully pointed us in the direction of the mocktails. I never think to order mocktails and tend to just automatically order a diet coke so I was very thankful to be reminded that there is more to a drink menu for drivers than fizzy pop! 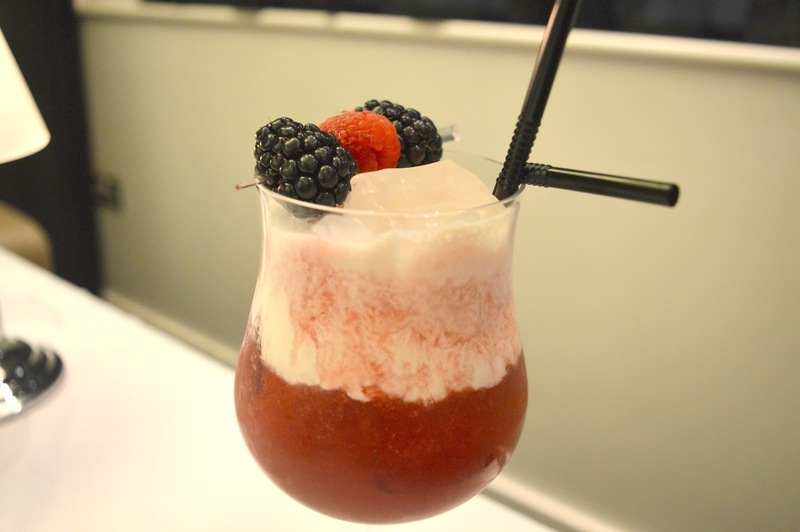 There was a great selection of delicious fruity drinks and I will certainly be ordering one again next time I visit. When it came to main course I decided that I really did have to order a steak seeing as the restaurant is famed for them. I ordered the 10oz Sirloin (£28.50) which came served with homemade pommes frites and a classic steakhouse green salad with merlot dressing. The dish didn't include a sauce but there's no way that I could eat steak without anything for pouring and dipping so I ordered a Peppercorn Sauce (£3.50) on the side. 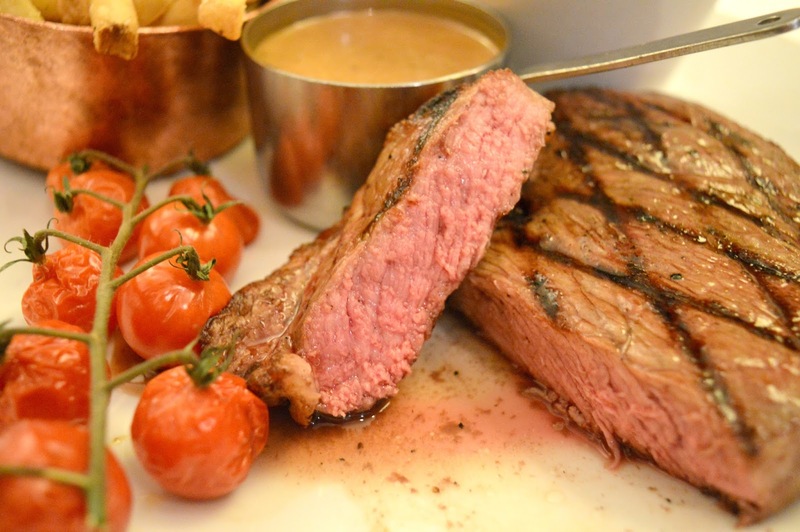 I love steak but will admit that I'm quite nervous to order it in restaurants, it's hard to get right and as it can be expensive I hate the idea of wasting money on something that isn't perfectly prepared. I'd ordered my Sirloin rare and was really hoping for a beautifully pink and tender cut of meat that melted in my mouth. There was no need to worry as it was perfect. In fact it was one of the best steaks I've ever had in Newcastle so I'm adding it to my list of places in the Toon that I can trust to serve up a great steak. The chips on the side (served in an instagram worthy copper saucepan) were a little disappointing with far too much salt on them for my liking - bit of a shame as they had such a lovely crisp. You may be surprised to hear that we were far too full to even consider having dessert so we quickly closed the tempting menu and slouched down into our seats to rest our full tummies. Our waiter was having none of it though and said that the Chef wanted to make us a special dessert platter. 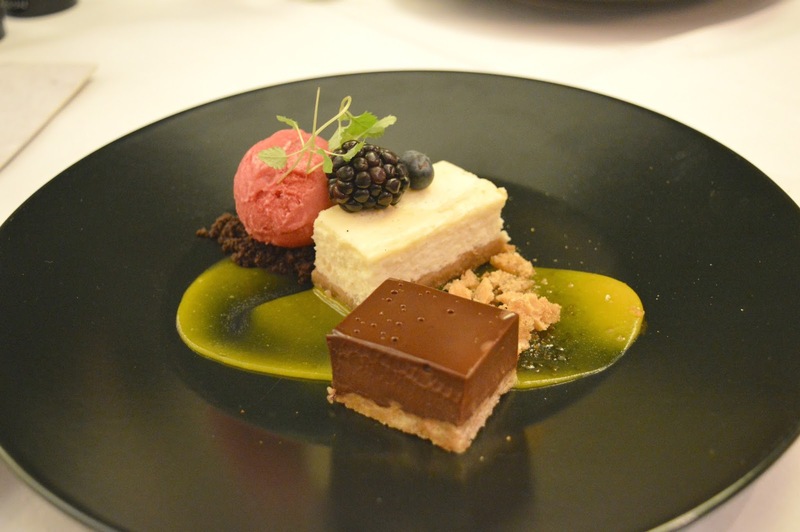 A whole plate of delicious mini desserts, how could we resist! Send help, this was never going to end well! 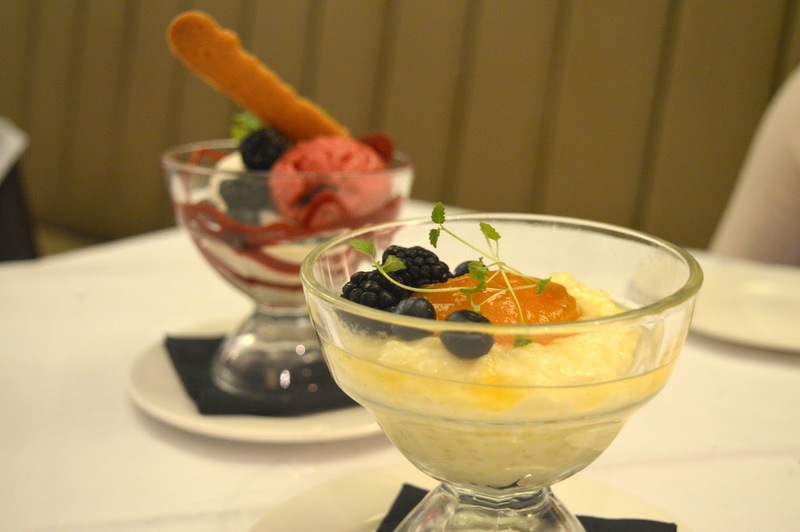 I will admit that Rice Pudding is something that I would never consider ordering. It's not that I don't like it, it's just that when it's sitting on a menu surrounded by tempting cheesecake and sticky toffee pudding it's never going to get a look in. Our waiter was adamant that this was going to be the best rice pudding we had ever had so I sunk my spoon in and got to work. He was not wrong! It was beautifully creamy yet not too heavy. I certainly wont be overlooking rice pudding next time I see it on a menu. Our evening at Marco Pierre White Steakhouse was over and feeling very full we collected our coats and waddled out into Newcastle to make the journey home with very happy tummies. I definitely wont be leaving it so long until my next visit! Looks incredible! I've never been will have to get myself along! OMG I think this may be the most food you've ever eaten in one sitting! You weren't lying when you said you enjoyed a feast! The steak does look amazing I have to say but ouch at the £30+ price tag when you could cook steak for 2 plus wine for that at home. mmmmm that looks lovely! I enjoyed the steak there a few years ago as a treat meal with Alan (yup it's pricey!) and an afternoon tea just before xmas with my pals was good too! I agree it's somewhere you forget about as tucked away!